Pop the champagne! 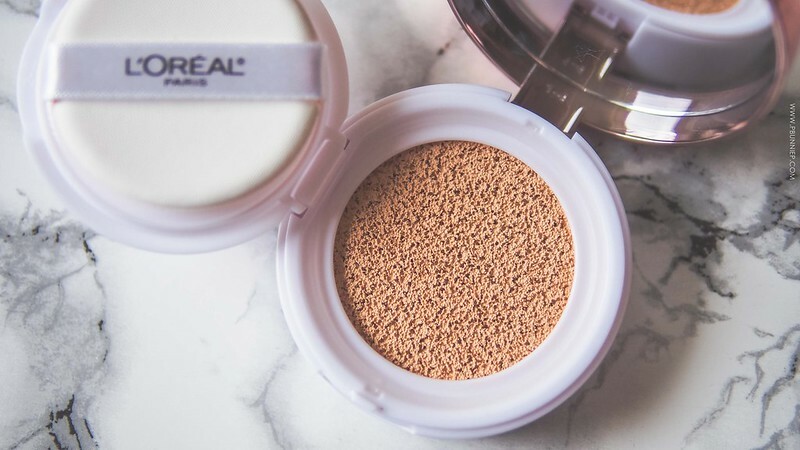 The Canadian drugstore aisle has finally stocked its first cushion foundation thanks to L'Oreal. To be fair, the brand has already released a cushion product in Asia (but presumably very similar formulation) a few years ago but it's only earlier this year that we've gotten our own North American version. Categorized as part of their True Match Lumi line, this is marketed as a buildable luminous foundation that's speedy and flawless. Would I repurchase: Probably yes. Aqua / Water / Eau, Butylene Glycol Dicaprylate / Dicaprate, Methyl Trimethicone, Dimethicone, Titanium Dioxide, Diphenylsiloxy Phenyl Trimethicone, Glycerin, Lauryl PEG-9 Polydimethylsiloxyethyl Dimethicone, Pentylene Glycol, Butylene Glycol, Trisiloxane, PEG-10 Dimethicone, Magnesium Sulfate, Acrylates / Stearyl Acrylate / Dimethicone Methacrylate Copolymer, Phenoxyethanol, Dimethicone Crosspolymer, Lauroyl Lysine, Disteardimonium Hectorite, Ethylhexylglycerin, Polyhydroxystearic Acid, Stearic Acid, Alumina, Triethoxycaprylylsilane, Lecithin, Isopropyl Myristate, Isostearic Acid, Ethylhexyl Palmitate, Adenosine, Polyglyceryl-3 Polyricinoleate, Disodium EDTA, Phenylethyl Resorcinol, Tocopherol. Let me start with the obvious, yes it's $29 dollars for a drugstore foundation. 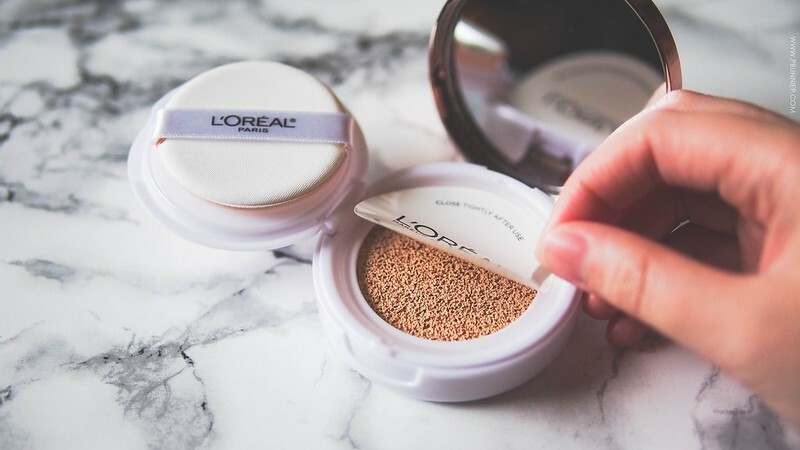 L'Oreal has really come out with some very likeable products in the last year but their pricing has also hiked (remember that eye shadow palette?). At regular retail price this actually works out to be slightly more expensive than Laneige's cushion which comes refillable as a pack of two plus the compact in a set. The last time I remembered, drugstore meant no more than $12-15 for a makeup product but we'll come back and answer the "is it worth it" question later on. 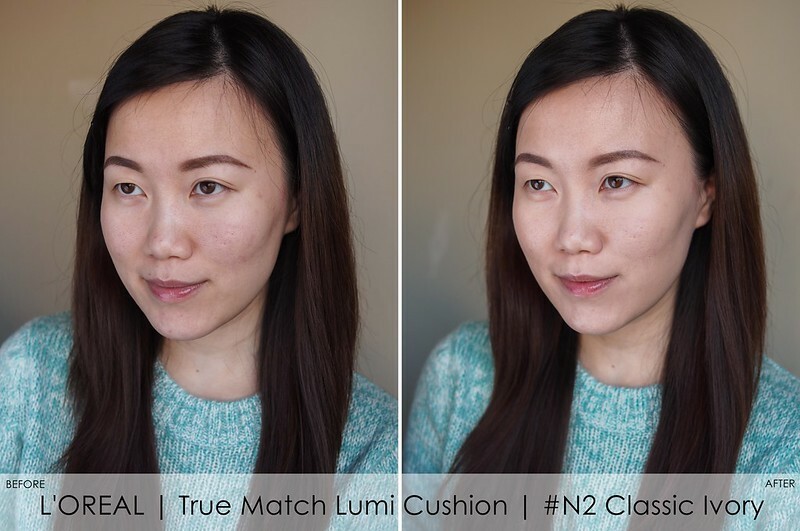 Produced in the similar spectrum as their other True Match foundations, the cushion comes in N (neautral), W (warm) and C (cool) shades for a total of 12 options (in the USA) with the darkest similar to a caramel or cafe latte. From what I've seen in stores and on the L'Oreal Canada website, we will only be getting 9 of the lighter shades here. 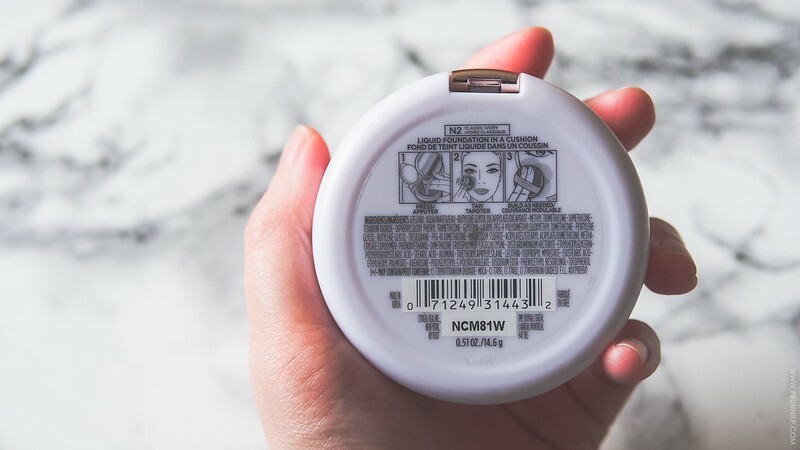 Like other cushions, this is packaged in the familiar flip top compact with an inner lid to keep the cushion foundation moist. Under the lid is a well size mirror and a specialty sponge is also included. 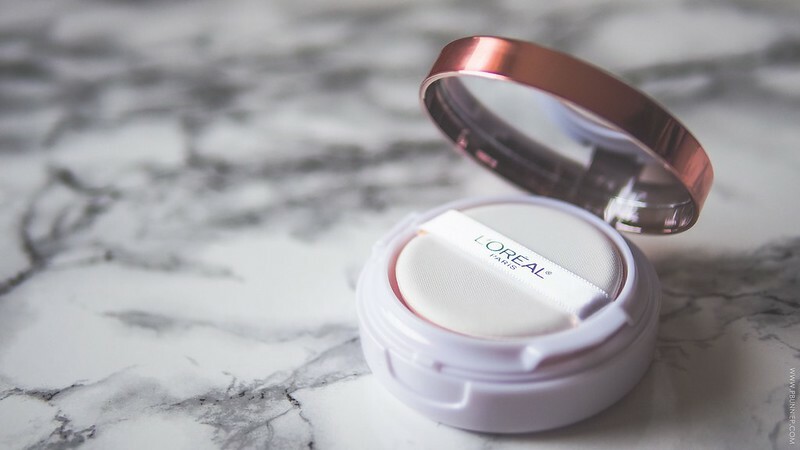 However this version by L'Oreal is not refillable; the entire compact is one piece and you'll need to buy an entire new compact when repurchasing which I suppose is what adds to the high price point. I found the over all design to be pleasing, lightweight yet well made and it holds up well to daily shuffling in your handbag. 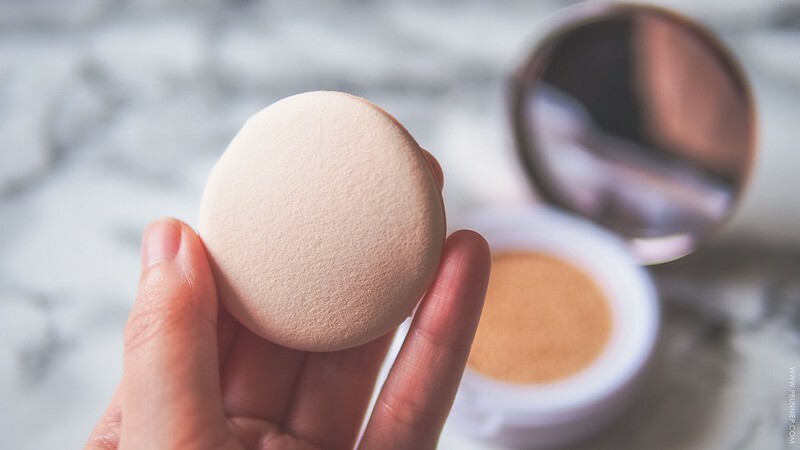 Looking at the applicator, the sponge itself is softer than other Korean brand cushion sponges I've had previously but because the method for application is a patting motion I actually would have preferred a slightly denser sponge. After multiple usages it also seems that this sponge picks up more product than its Asian counterparts. If we look at overall finish and application though, it does the job perfectly as it should. Onto the cushion itself, the sponge that holds the foundation is very porous (compared it to this Korean IOPE one) but it's also very saturated. Cushion foundations are best for layering and with this it means you only need a light tap to get the product onto the applicator. I was overly excited on my first try and having actually pushed into the cushion and ended up with much more product than what I needed so go lightly! 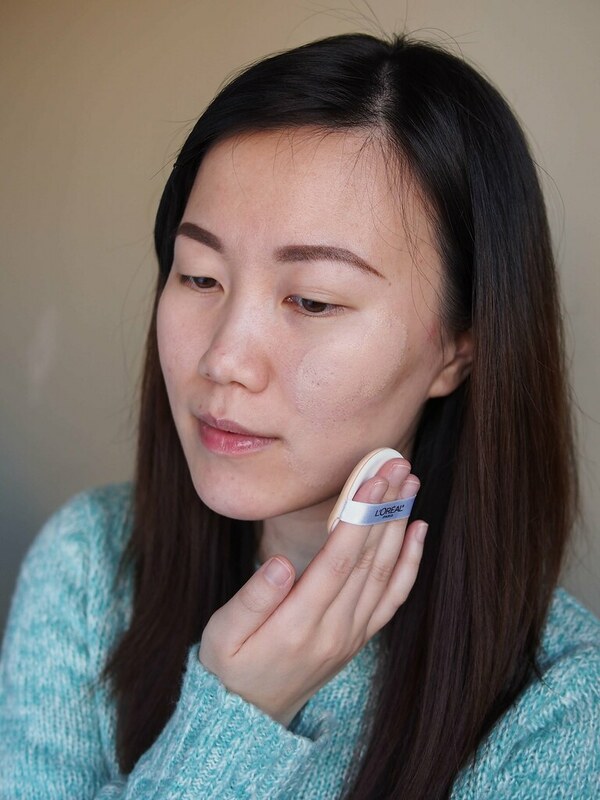 I was really happy to find the texture of the Lumi cushion foundation super smooth and creamy which meant it applied easily onto the skin with no tugging. Blending out was also quick and I was able to cover pores decently given that I carefully and firmly pressed over my pore zones a few times. It was quite forgiving over flaky patches over my nose. On days that I actually remembered to exfoliate and prime, this applies flawlessly. 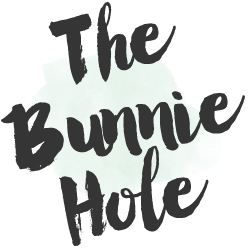 The foundation itself is easily buildable and I would call it a light to medium coverage. 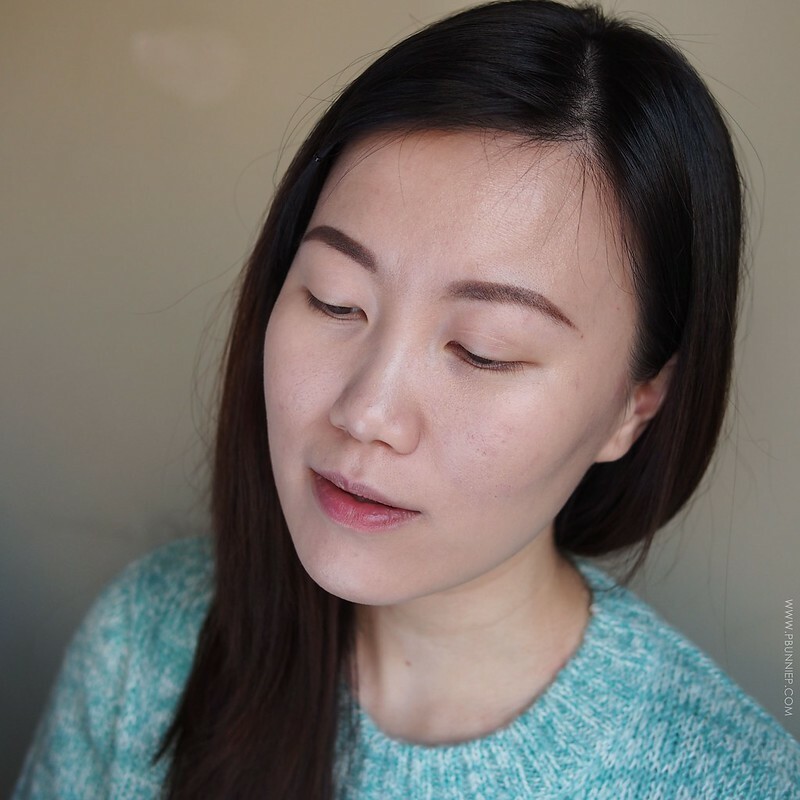 For most day to day activities, I don't feel the need to wear a concealer at all though you might consider it if you're particularity concerned with under eye coverage or blemishes. It gives my skin a dewy, non-powdery finish that feels comfortable and slightly moist although not wet. I'd compare it to the feeling of wearing my MAC Face & Body Foundation. Now I stood at the display for ages trying to decide my right shade. Although I usually wear the W range in True Match, I thought W2 looked quite yellow and eventually decided on N2 instead. This seems to be a pretty good match for my NC20 skin tone upon first application but I do find it has an ever so slight white cast in photographs, possibly due to the reflective quality of the foundation. If you're debating between two shades, I'd recommend the darker of the two. SEE MY OTHER FOUNDATION COLOUR MATCHES. For those with combination skin like mine, wearing this to an office type of indoor environment should last you most of the day without any major touch ups thought I'd do a check in around 1-2pm but even then its just a quick pat over to smooth out around the nose, blot my forehead and I'm back in action. I've also worn this for up to 8 hours and it's worn better than a lot of liquid foundations yet without caking up like many powdery finishes do. 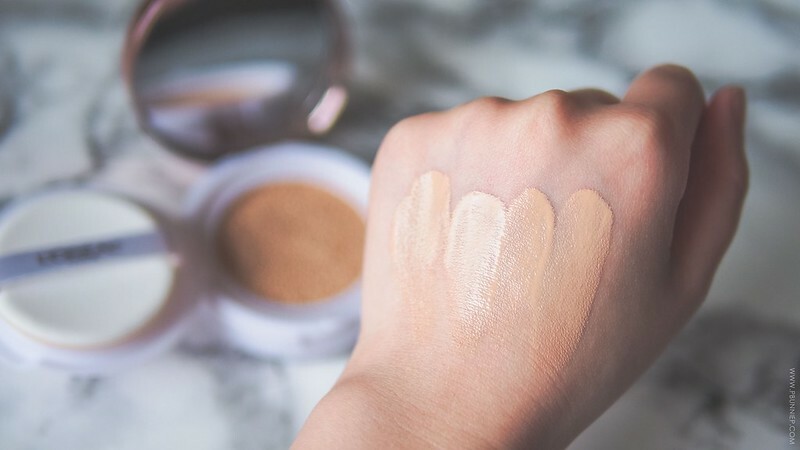 Should you need to add additional coverage, the Lumi cushion blends over top your morning application easily but note the more you apply the dewier it looks. If I'm planning to be filming or out in full sun, a light layer of invisible powder helps everything look more natural instead of overly shiny. is very comparable to Lancome Teint Cushion but that is more powdery. has better in colour selection than most Asian brand cushions. has a similar glow factor to the IOPE cushion. 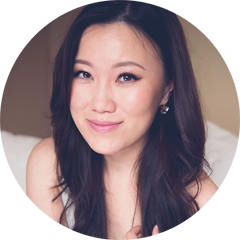 similar overall finish to MAC Face & Body or the original Lancome Teint Miracle foundation. 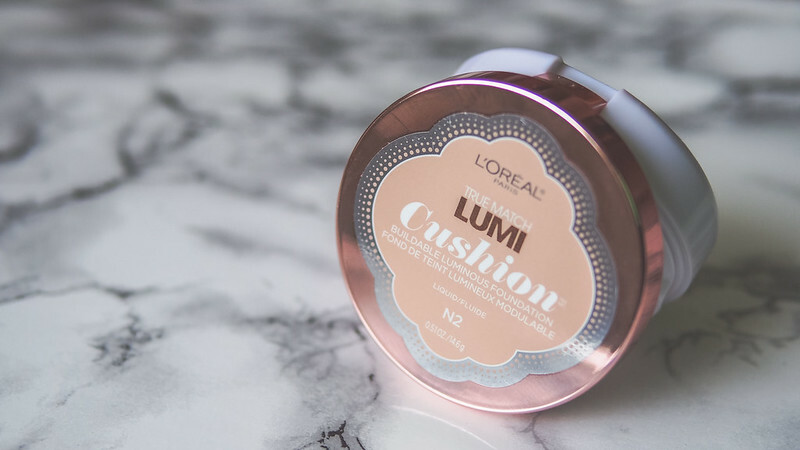 The L'Oreal True Match Lumi Cushion is a great well rounded and easy to use liquid compact foundation that has all you need for an everyday base all in one. I'd recommend this for dry to combination/slightly oily skin (with primer) as its smooth texture is a pleasure to apply and it sits on the skin in a very natural way. The glowy finish may not be everyone's style but I find it powders down easily and still wears a good amount of time without sliding around. The range of colours still isn't completely inclusive but it's a much better shade selection than the 2 or 3 you have with most Asian brands. Note that there is no specific skincare function, fragrance or SPF as part of this formula. I've yet to experience any adverse skin effects or breakouts even if worn daily. As for the linger question of "is it worth it"? If this was refillable and sold in a store like Sephora, I would absolutely say yes. As a drugstore product it is over priced for that market but that doesn't affect how well the cushion works. I have quite a few cushions on hand at the moment so I'm on rotation but I'm likely to pick this up again as long as I'm budgeting for this as an entry level high end product.